They’re out there! One ticket can ruin you whole day. 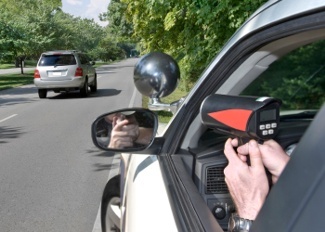 The Radio Doctor has high performance radar and laser detection systems to protect you. When you want a clean stealth appearance, our custom installed systems are almost invisible, with greater protection than the suction cup and cords units. Laser is a pin point beam leaving your detector to just inform you you’re nailed. Our active protection laser systems jam the signal long enough for you to check you speed and make corrections. Choose a K40 system that backs up its state of the art performance with a one year speeding ticket guarantee. Don’t wait until it’s too late stop by or call us at 608.221.9292 to discuss a system for you.